Do you ever see something you don’t want to see. You just stand there frozen. You can’t even cry because it is just sinking in. Your heart drops, its tearing you apart. Your mind is going crazy. You can’t even move or blink, because your hoping what your seeing isn’t real because it is breaking your heart. Tears are then brought to your eyes and you don’t even know what to say because you don’t understand why this is happening? 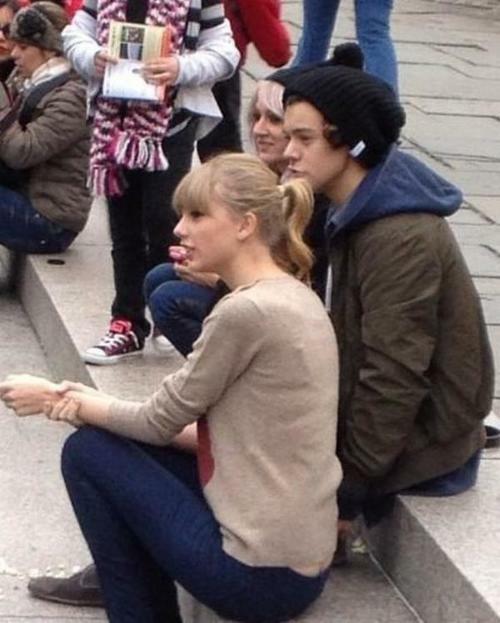 I need a Haylor icon. Any bets on breakup? I'm giving it till March. damn, swift sure does get around. IDGI, what am I looking for? they're sharing a necklace. the second pic is harry. The funny thing is that he received that necklace as a gift from another girl. Omg I want her coat.